If you need transportation for a group outing or a night out with your friends, our Shuttle Bus Rental NJ can be the best solution for you. They are as comfortable as bus shuttles that are used by employees or groups travelling between airports, fair grounds, hotels and work sites in NJ. Many party groups and Corporations have been using our NJ shuttle bus service as cost effective mean to move their group members over small distances. Our motor coach bus or shuttle rental can be an easier choice for your city tour, sports team travel, wedding, corporate party and more. 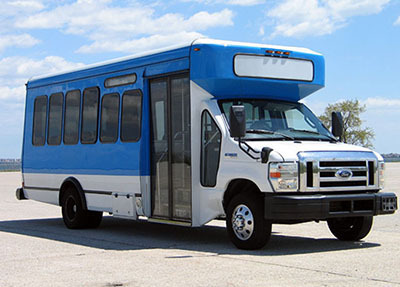 Shuttle Mini buses have comfortable seating and are preferred for short distance trips in and around New Jersey. You can hire our mini buses for their luxury interior and limited seat capacity. Whether you are planning a trip to NJ for your student community, playing mates, colleagues or party members, we can offer you great looking motor coach buses or shuttle minis that can accommodate your whole group together. Our Shuttle Bus Rental NJ varies in capacity but can be used for overnight tours or local trips with low expenses. You just need to specify the number of passengers going on the trip so that we can decide you the best fit coach bus or shuttle mini rental package for you. Call us to help you find a perfect coach bus or mini within your budget at anytime and anywhere in NJ. Looking to hire a Coach Bus Service NJ for special events or corporate meetings? Possibly you need an affordable NJ Shuttle bus service with assured safety and satisfaction. We at EWR NJ Limo can readily provide well maintained mini buses and motor coaches for party travel, corporate meeting and wedding needs. To learn more about our Coach Bus Service NJ features and pricing, contact us now!